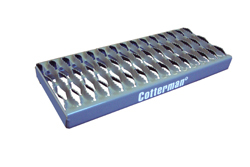 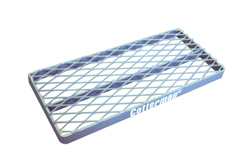 Cotterman Series 1000 ladders - 26" Wide Step - are rigid, one piece, set-up, steel mobile platform ladders designed to meet or exceed OSHA standards. 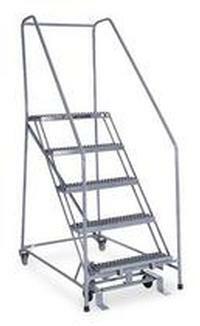 Safety is foremost with easy climbing angles, sturdy handrails, and large steps and platforms of slip-resistant expanded metal. 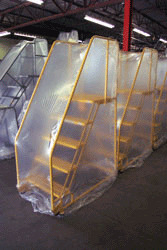 Caster assemblies are designed to secure the ladder to the floor when in use, and to permit easy rolling from job to job.